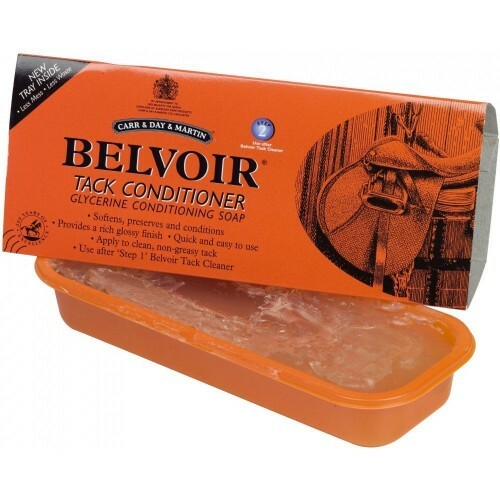 Pure clear soap containing coconut oil and glycerine to soften, preserve and condition saddlery leather. Dispensed in a tray for less mess and less waste. Gives a shiny, protective finish and prolongs the life of both old and new leather. Not suitable for aniline or untreated leather, suede or nubuck. Test on a hidden area before use. Results are immediate.